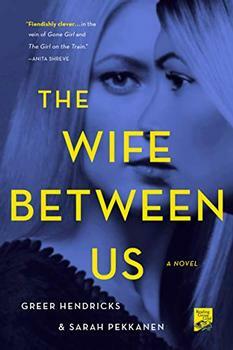 A downwardly mobile secretary from Philadelphia marries an ambitious soon-to-be-expat pharmaceutical researcher in hopes that she will never work again; but it turns out that her new husband is tougher, sneakier, more sincere, more contradictory, and smarter than she is. Nell Zink's debut novel follows a downwardly mobile secretary from Philadelphia who marries an ambitious soon-to-be-expat pharmaceutical researcher in hopes that she will never work again. They end up in Germany, where it turns out that her new husband is tougher, sneakier, more sincere, more contradictory, and smarter than she is; she'd naturally thought it was impossible. Life becomes complicated with affairs, birding, and eco-terrorism. Bad things happen, yet they stagger through, clinging to each other from a safe distance. Eventually our heroine commences building a life of her own, in imitation of her husband, one soggy brick at a time. We didn't take a birding vacation that year. Without asking me, Stephen rented an apartment in Berlin for the month of June. He wanted to get serious about his music. We took the slow train, a boxy Swiss IC where you could sprawl out and eat muffins. The German high-speed trains are cylindrical, like airplane fuselages, and you can't open the windows. In Berne you could always tell yourself, I will lift up mine eyes unto the hills, from whence cometh my help. Berlin was huge and flat, repetitive to the point of bleakness. People were too rich or too poor, and there was nothing to buy. Tawdry crap for teenagers from the sticks, flagship stores, boutiques for Russians, espresso, and fast food. Families shivering in the dark shade of beer gardens, letting their kids run around to warm up. The Wallcreeper is arrestingly hypnotic, full of some brilliant and often funny writing: “Stephen has a fair level of control, and he figures at some point I’ll get control and stop spending all my time compulsively coming up with ways to excuse my lack of it,” Tiffany narrates. “He has those seven habits of highly effective people, and he’s graciously letting me pick up one habit at a time.” You just can’t look away. (Reviewed by Poornima Apte). Starred Review. Zink's debut novel is a weird, funny, sad, and sharp story of growing up. [T]his first novel arrives with a voice that is fully formed: mature, hilarious, terrifyingly intelligent, and wicked. Nell Zink is a writer of extraordinary talent and range. Her work insistently raises the possibility that the world is larger and stranger than the world you think you know. You might not want to believe this, but her sentences and stories are so strong and convincing that you'll have no choice. The Wallcreeper shows how complicated even seemingly benign environmental projects can be. For example, the hydroelectric projects discussed in The Wallcreeper are what are known as run-of-the-river. They are smaller and carried out without the creation of dams. ROR stations are seemingly benign and widely perceived as less environmentally damaging than their larger cousins such as the Three Gorges Dam project in China where entire communities were displaced.